The perfect alliance between design and functionality. Exceptional forms. Outstanding technology: the design phone. 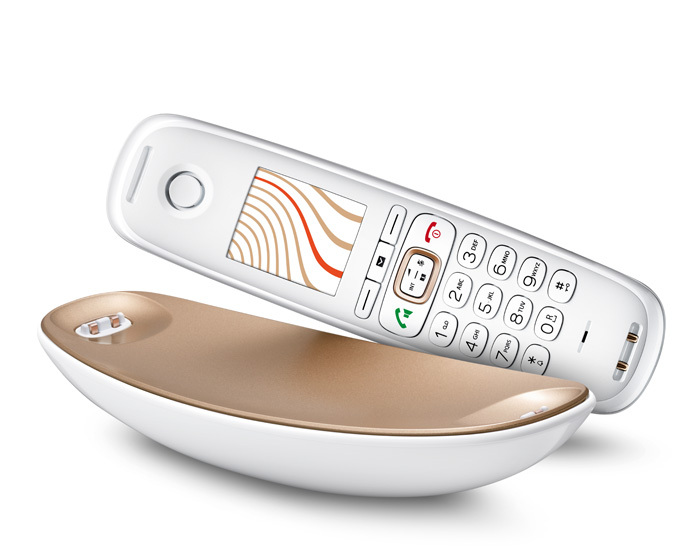 The new Gigaset Sculpture is an unparalleled fusion of design, technology and user-friendliness: Its unique sculptural shape, ergonomic lines and flawless surfaces make this cordless phone a stunning addition to your contemporary home interior. Feel free to position the handset and its charger unit anywhere you wish for absolute flexibility – thanks to the stand-alone base station. And enjoy the phone’s brilliant sound quality – as delivered by Gigaset’s HD Voice – even during hands-free calls. It’s the beginning of a new era for landline phone conversations. For you and your entire family. 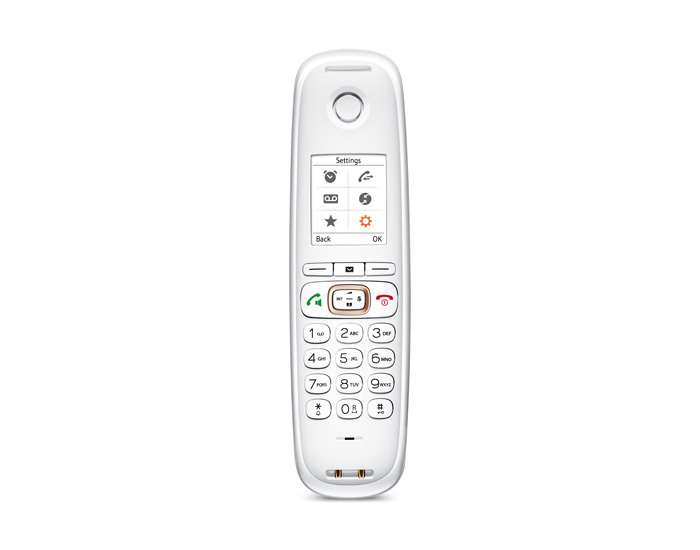 With the Gigaset GO technology you can choose between landline telephony using one number only and Internet calls with up to six numbers for two simultaneous conversations. Also included: three integrated answering machines for both landline and internet numbers. 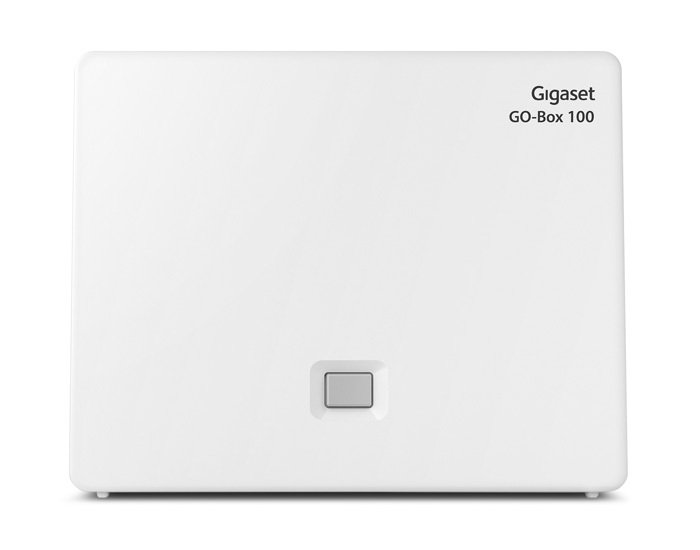 Connect your phone to gigaset.net to make free calls worldwide to other Gigaset GO devices. Or integrate your smartphone into your landline network: to easily add your mobile contacts to your handset and to be alerted of incoming e-mails or missed landline calls. An exciting extra: quick access to various online services such as weather tickers and eBay. Hello future! A new standard in design and functionality. 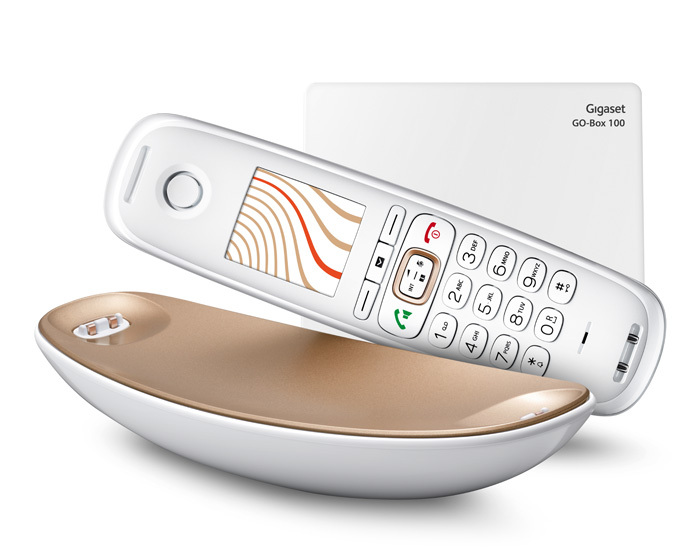 The new Gigaset Sculpture is an intelligent fusion of high-quality materials, customisable premium finishes and stunning ergonomic lines with outstandingly easy handling. The result: a sophisticated design statement for your contemporary home that sets new standards in landline telephone comfort for you and your family. Thanks to the stand-alone base station of the new Gigaset Sculpture landline phone you can freely position the handset and the charger unit – and answer or hang up and charge your phone wherever you want. For additional customisation, choose from a range of elegant charger unit covers to perfectly match your home interior. Here is to your individual taste. Welcome to your new comfort zone. Welcome to your new comfort zone.Making things easy for you – that’s what the technical features of the new Gigaset Sculpture are all about. There’s a large 1.8” TFT colour display that may be customised with a black or white background and offers outstanding readability and navigation. The phone book holds up to 200 entries with three numbers each and has a VIP call ringtone option and birthday reminder function. 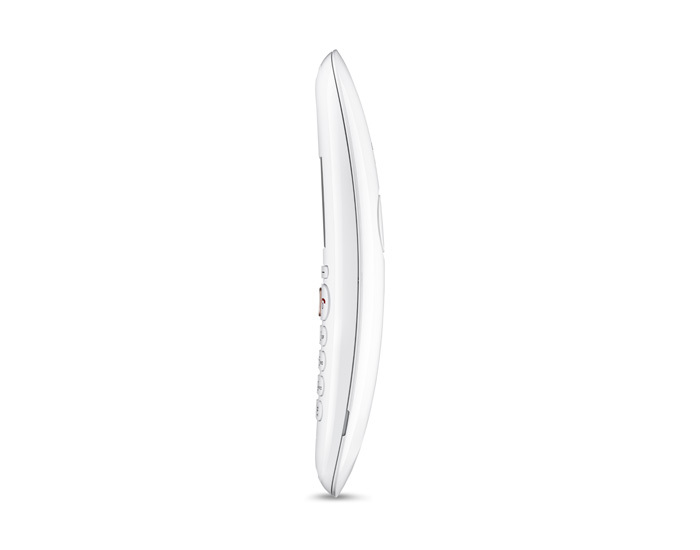 Be notified of missed calls and messages by a stylish LED notification. And guard yourself and your family against nuisance calls with the anonymous call protection function: It blocks the ringtone of incoming calls without caller ID – and warns you with an optical signal only. Feeling at ease can really be that easy. Even more clever functions. To make your life a little easier. Quickly checking on the kids – it’s now possible without yet another monitoring device: The baby phone function notifies you on your mobile phone or on an additional handset as soon as your baby wakes up. Or lets you communicate with your older child via the intercom feature. An additional feature: an alarm clock with a snooze function and a calendar with space for up to 30 appointments. Each with various melodies to choose from. At five different volume levels or in a crescendo. You’ll never miss another date. The excellent sound quality thanks to HD Voice makes landline phone calls with the new Gigaset Sculpture a real joy. Simply fine-tune the sound intensity to your personal preferences or surroundings with the five-step volume adjustment. Even during hands-free calls – so you can effortlessly undertake other activities while talking on the phone. 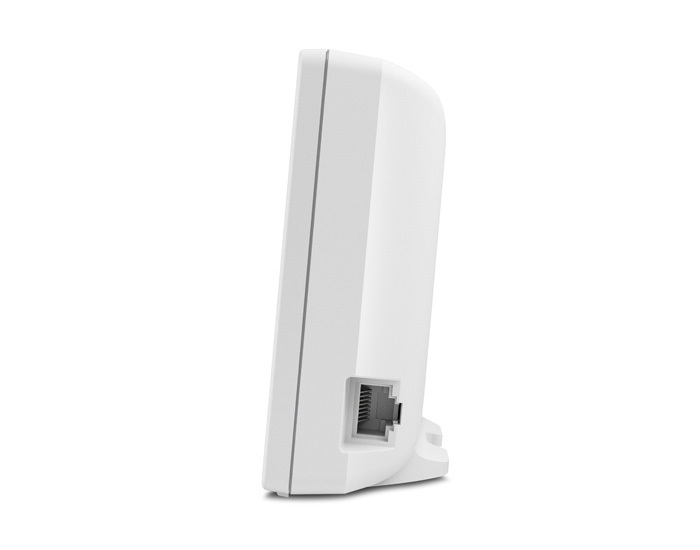 ECO DECT: higher efficiency, lower radiation. The new Gigaset Sculpture phone adjusts the transmitting power from the handset to the base station depending on the distance between them. What you’re getting: energy efficient telephony that’s good for the environment. The ECO Mode reduces the transmitting power by 80%, while the ECO Mode Plus even turns the transmitting power off whenever the phone is in standby. Keeping your home free of unnecessary radiation can be as simple as that. Just like a personal gatekeeper. 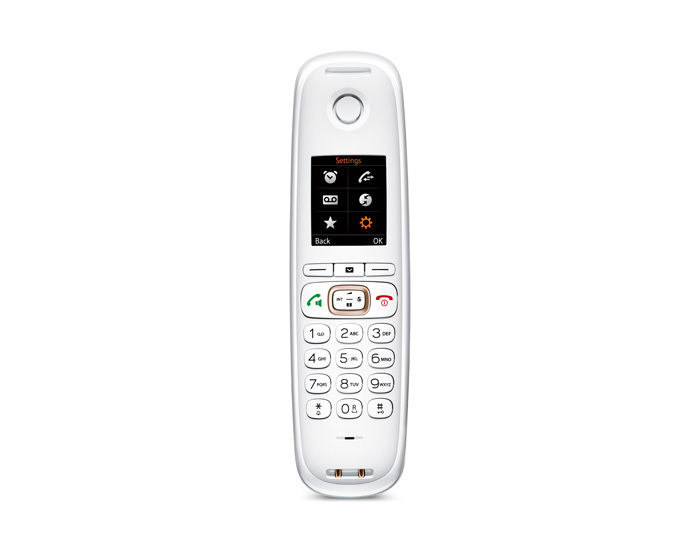 Managing your missed calls has just become a little easier with the CL750A GO: Three integrated answering machines with up to 55 minutes of recording time can be allocated to both your landline and your internet phone numbers. And it goes without saying that you can address callers with individual announcements for each number. Answer the phone – wherever you want in your home. With additional handsets to be placed anywhere you wish in your home you can now get to the phone really quick. You can easily expand your landline system by up to five additional mobile devices – the perfect solution for families and people who work from home. Placed in the bedroom, the home office, the kitchen or the hall they can be individually customised to match the décor of each room.